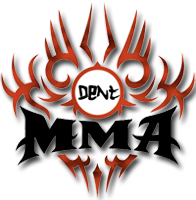 Invicta FC 34: Porto vs. Gonzalez is a mixed martial arts event scheduled to take place on February 15, 2019 at the Memorial Hall in Kansas City, Kansas, United States. The event is to be headlined by a fight between Vanessa Porto and Pearl Gonzalez for the vacant Invicta FC Flyweight Championship. The event will also feature the beginning of a flyweight tournament to determine the next number one contender. The tournament originally was to feature undefeated Brogan Walker-Sanchez against Milana Dudieva in addition to Tracy Cortez vs. Karina Rodriguez being the reserve bout for the tournamemnt but Walker-Sanchez pulled out so Rodriguez was moved up from the reserve bout into the tournament spot against Dudieva. Rodriguez was replaced in her original bout by Erin Blanchfield.